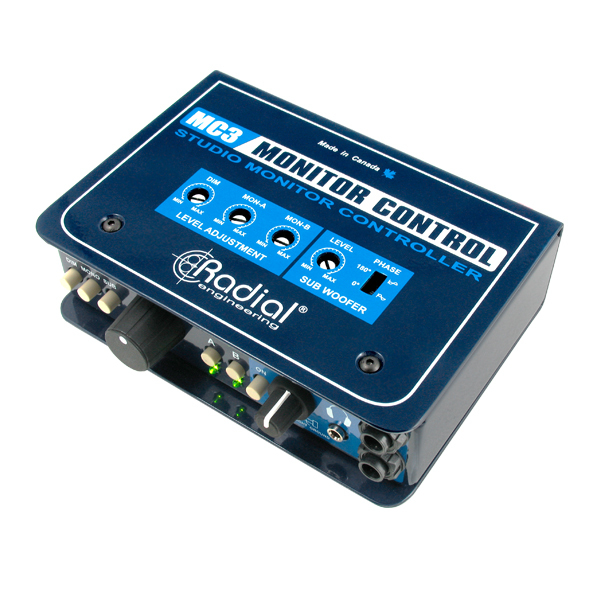 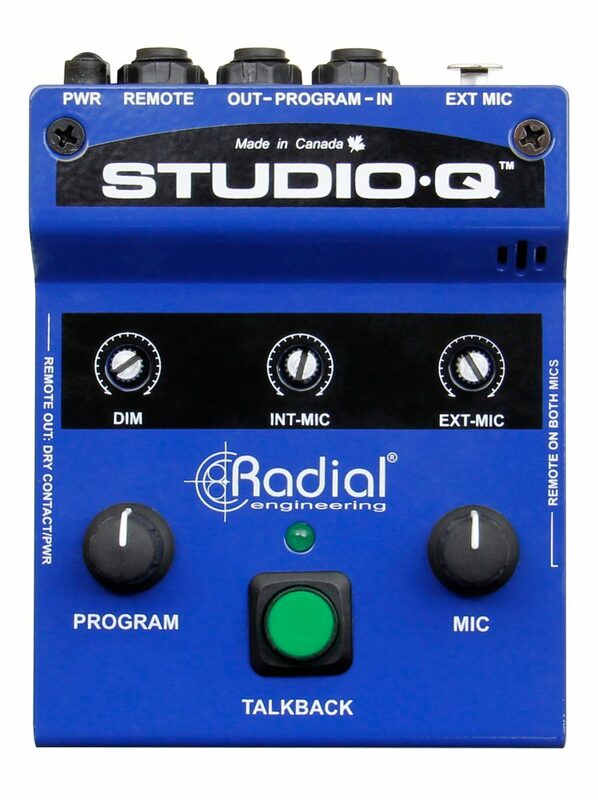 The Studio-Q™ is a compact studio talkback controller that provides a simple yet full-function cue system that allows easy communication with artists in a separate room or vocal booth. 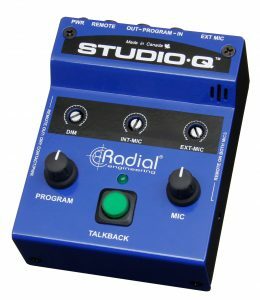 The Studio-Q allows you to professionally and easily communicate with artists that are in a separate live room or vocal booth, streamlining your studio workflow and improving the recording experience for the artist. 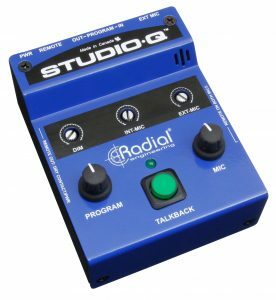 Simply press the talkback button and a built-in omnidirectional microphone will activate, while at the same time lowering audio playback so you can be heard easily through the cue system. 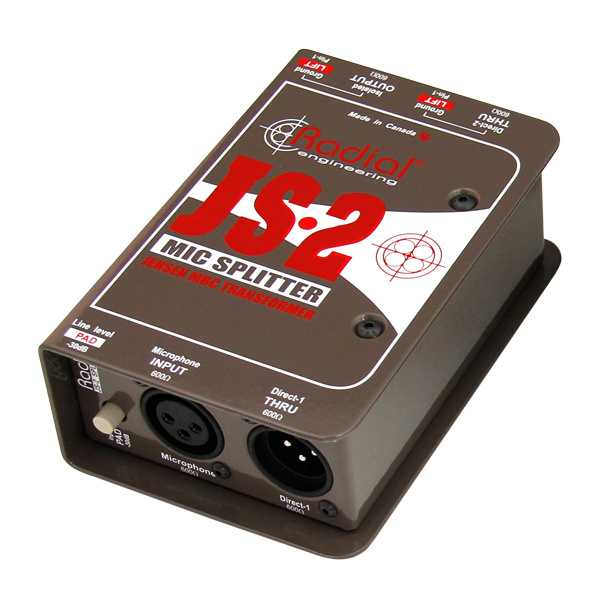 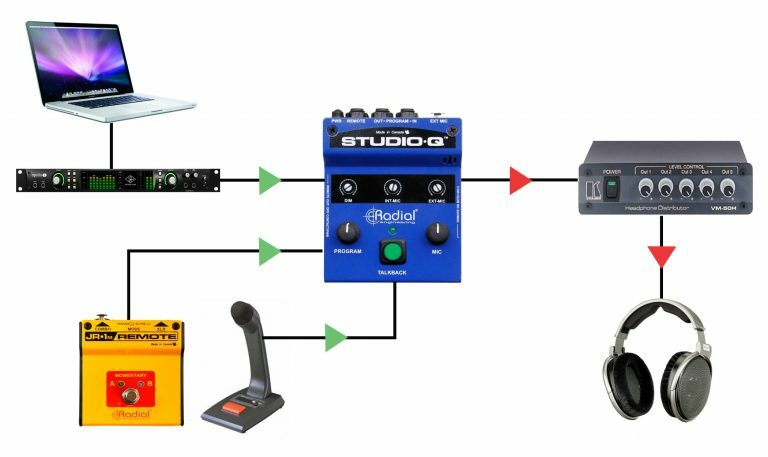 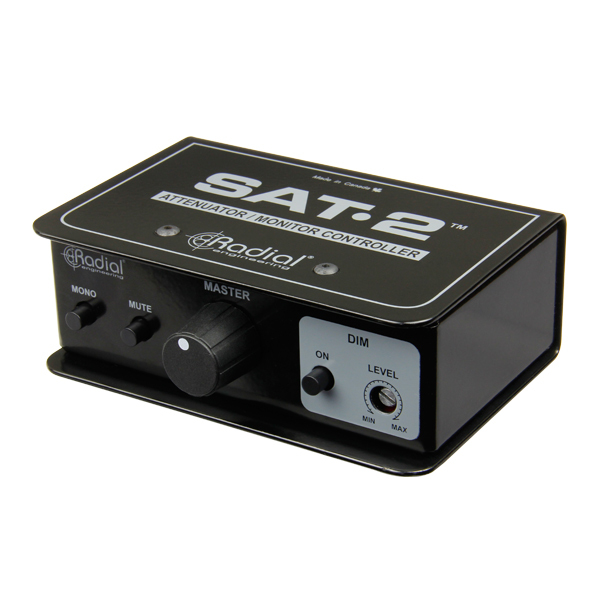 An external dynamic microphone can also be connected as an alternate talkback source, and a footswitch can be added for hands-free remote operation. 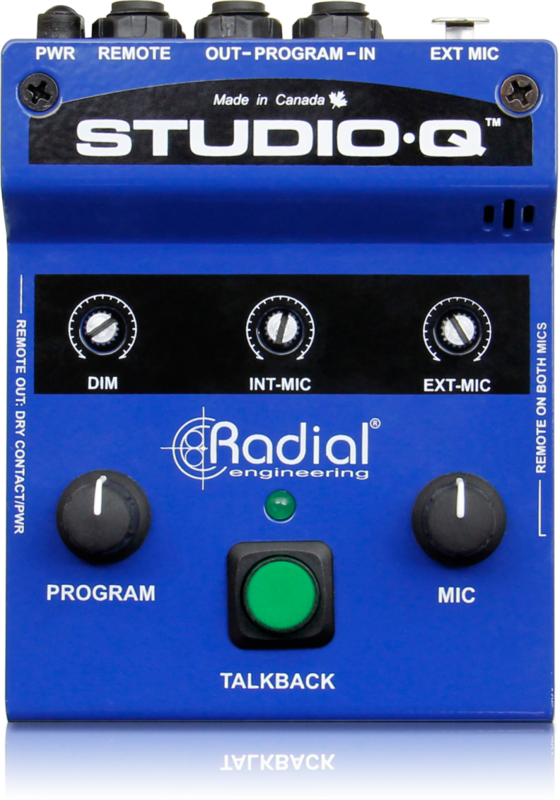 Use the Studio-Q to add talkback functionality to your system. 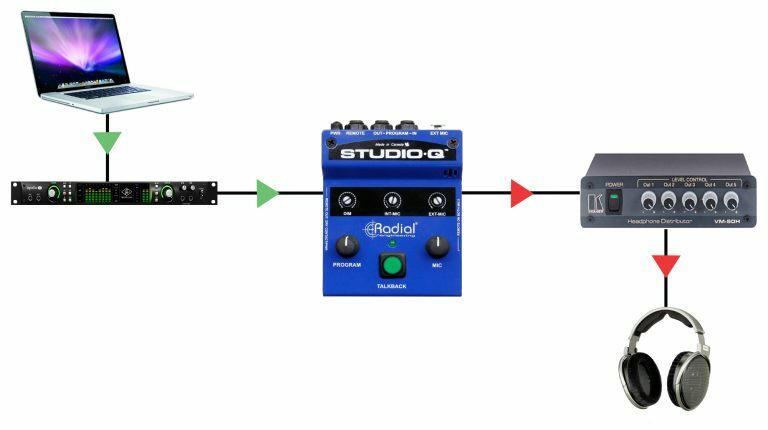 Now you can communicate seamlessly with an artist on headphones in a separate room. 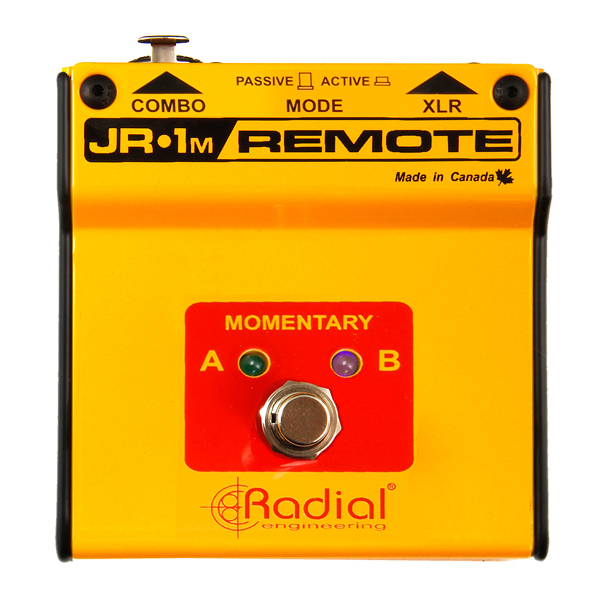 The remote Beacon can be connected via ¼" cable, illuminating whenever the talkback button is pressed. This gives an additional visual indication that the engineer or producer is trying to communicate over the cue system. 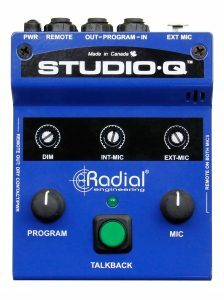 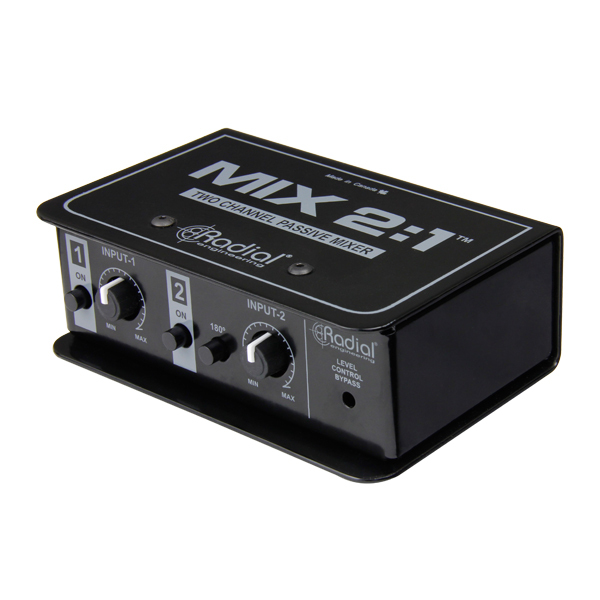 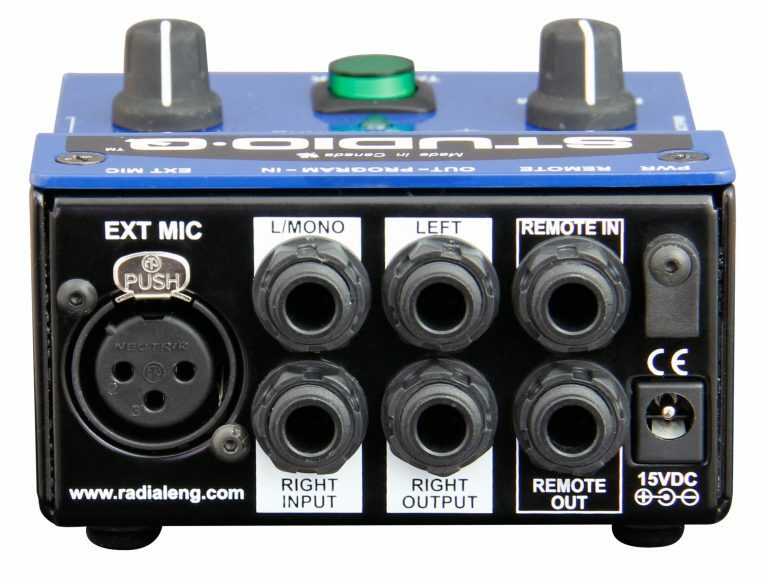 The XLR mic input on the Studio-Q allow a second microphone to be used so a producer or band member can also communicate with the artist in the booth. 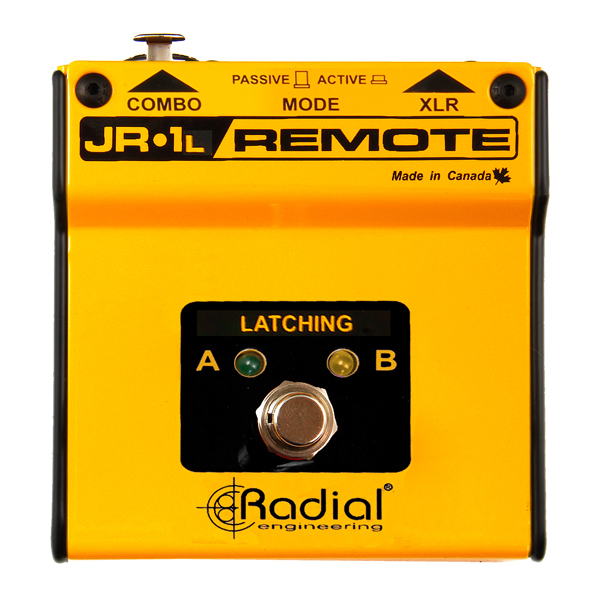 This can be controlled with a separate footswitch for easy hands-free operation.